I don't know a whole lot about these smaller Willitts - for example I'm not sure whose work this represents. 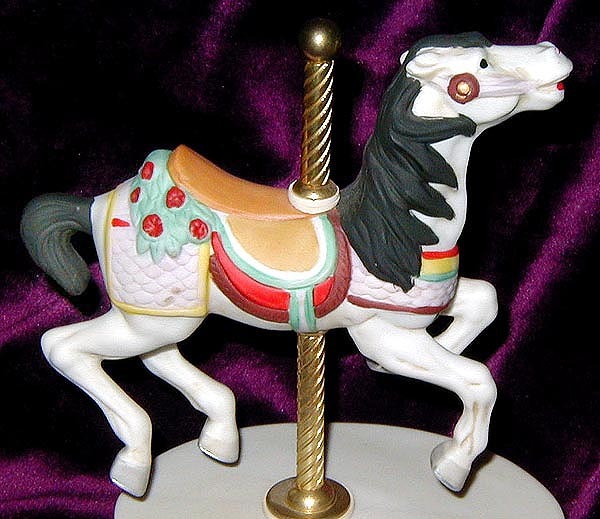 I do know that this horse came on two different bases - a decorated porcelain music-box base (as shown), and a rectangular brass base. I am also not sure what price these went for when new.